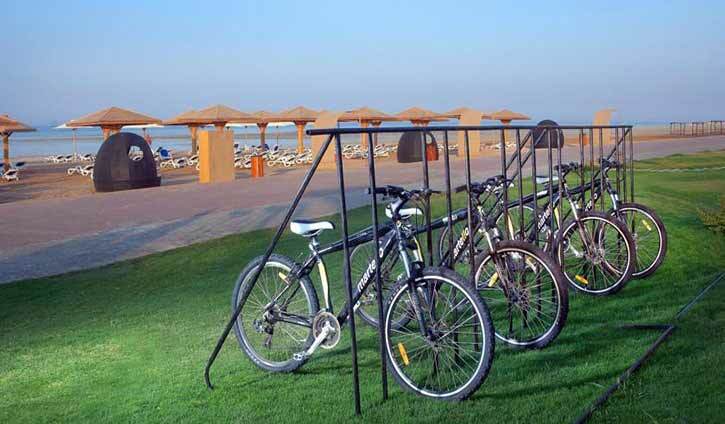 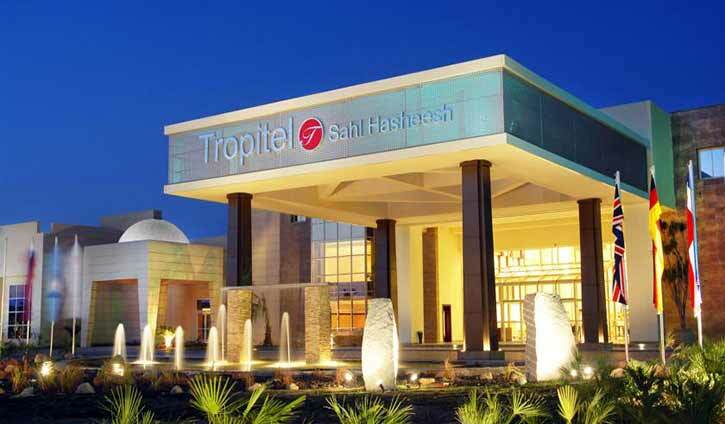 Tropitel Sahl Hasheesh provides deluxe 5-star accommodation. 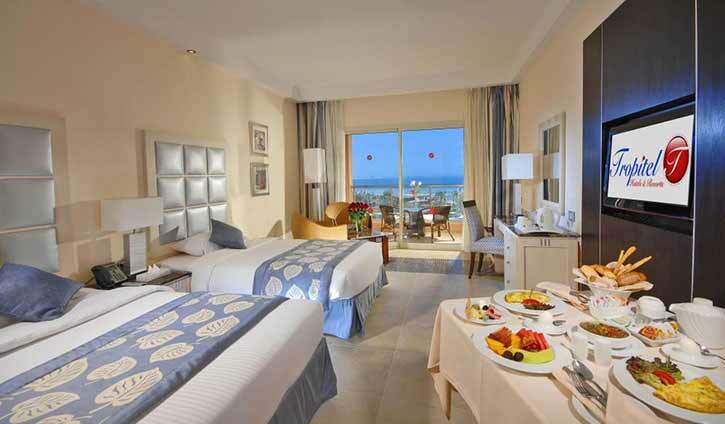 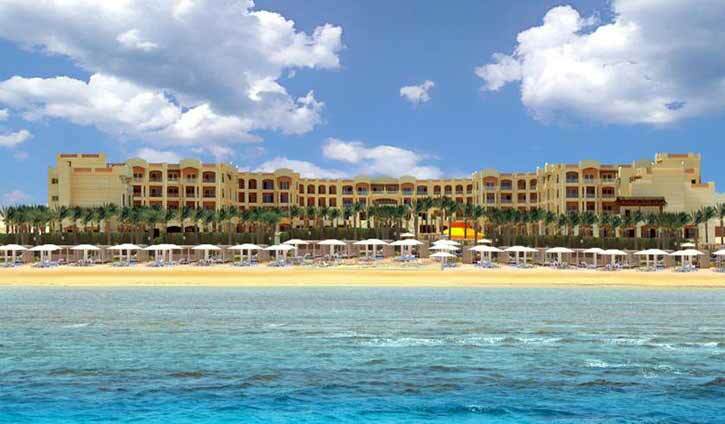 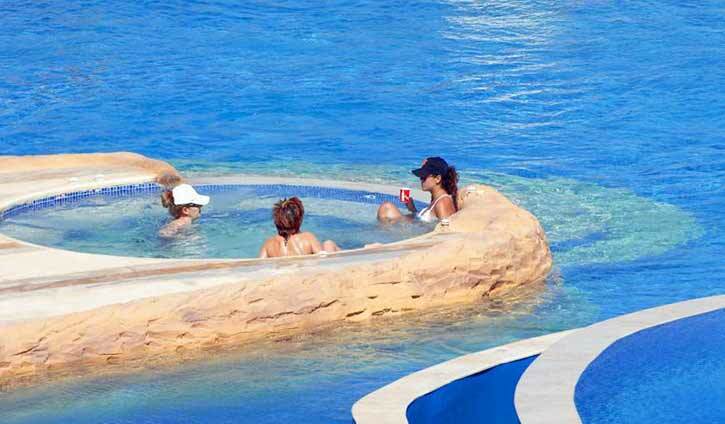 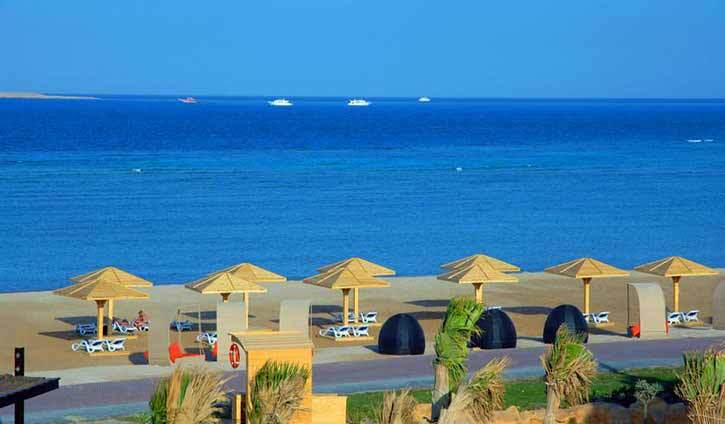 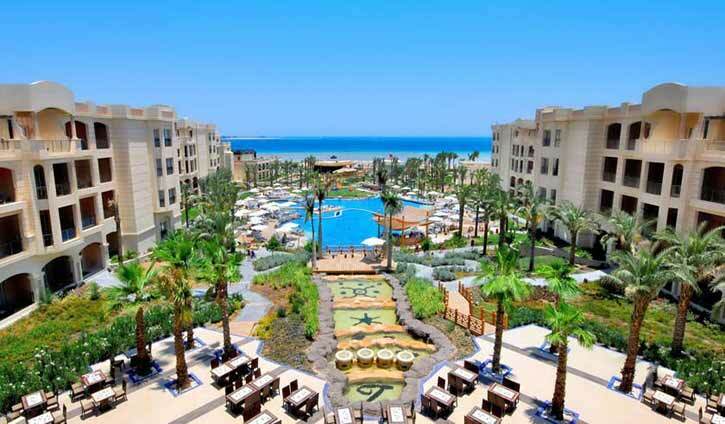 This Resort is beautifully and ideally located in the heart of Sahl Hasheesh Bay. 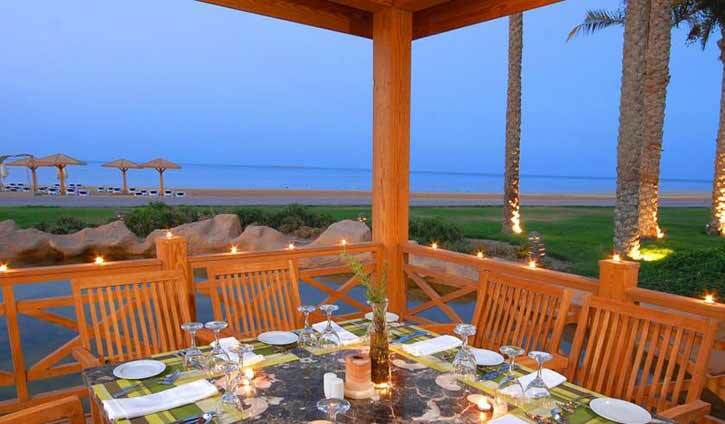 Is is 18 km away from the Hurgada International airoport and 20 km away from downtown Hurgada. 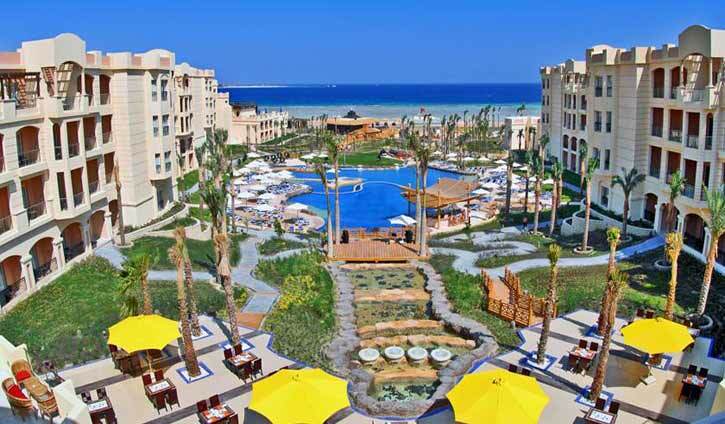 Tropitel Sahl Hasheesh features magical views of the warm Red Sea and a sandy beach with a private jetty. 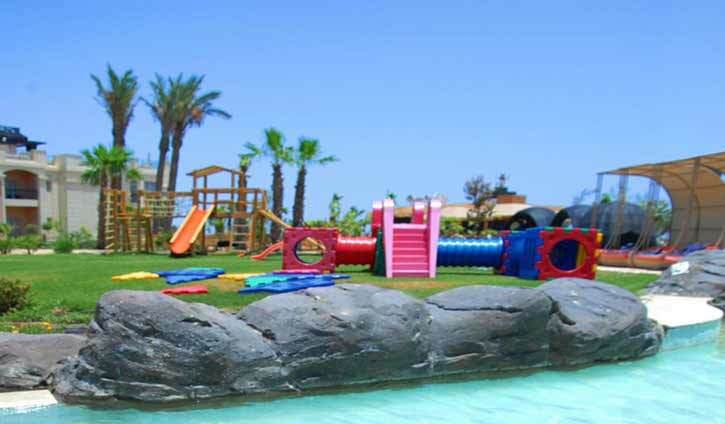 This jetty includes 3 outdoor swimming pools heated in winter as well as a children's pool. 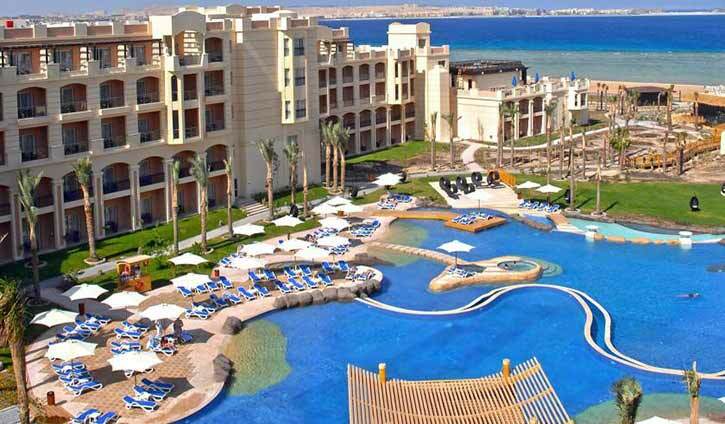 Distance from the sea is 100 m.
Tropitel Sahl Hasheesh offers 566 Deluxe Rooms, Deluxe Superior rooms, Deluxe Club Rooms, Deluxe Suite and family rooms and suites with balcony or terrace, and furnished in modern style. 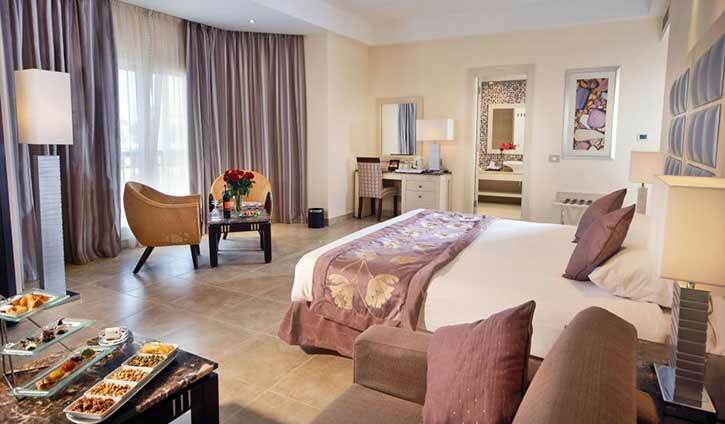 All rooms are air-conditioned, also includes a seating area with a satellite LCD TV and a private bathroom fitted with a bathtub or shower. 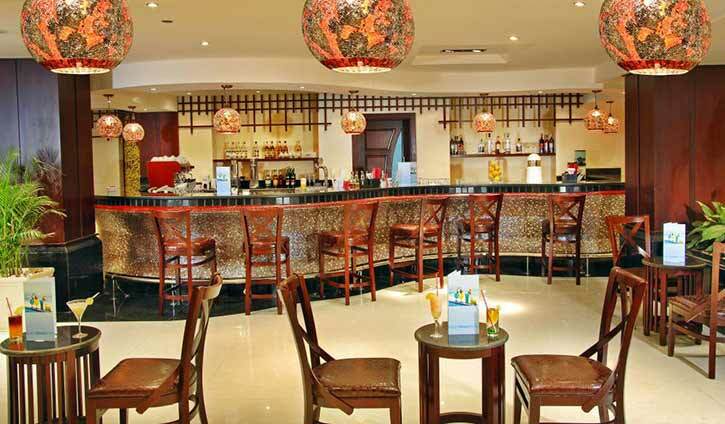 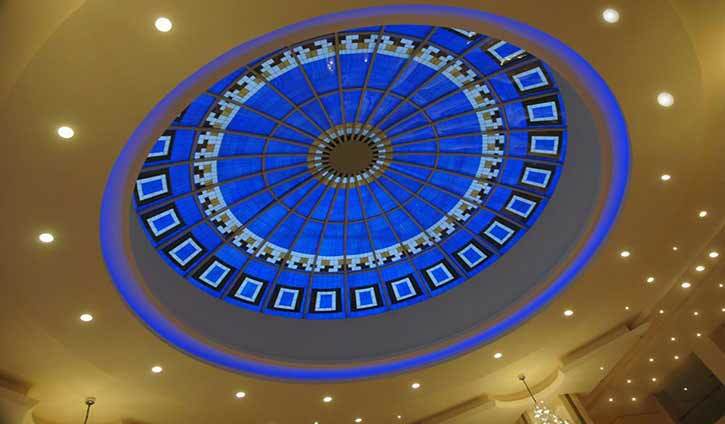 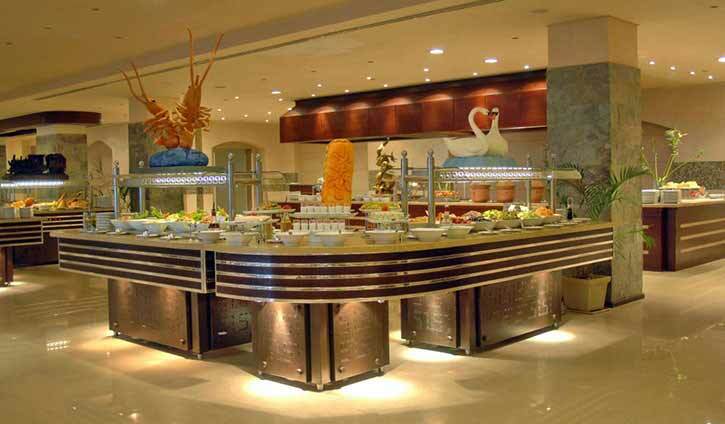 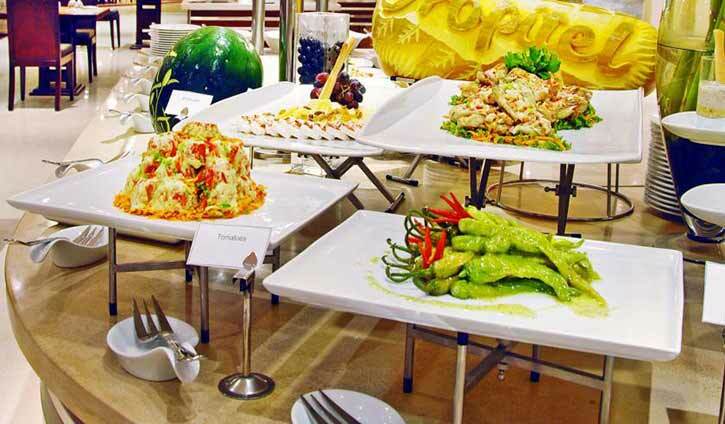 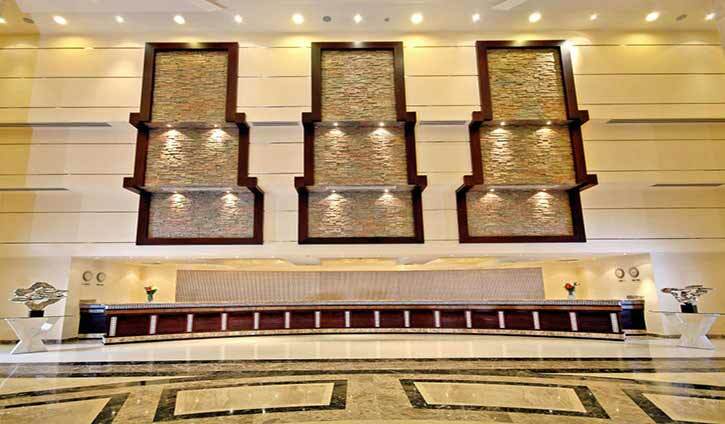 Hotel has 4 restaurants, guests can enjoy range of food from Italian, Mexican, Indian and oriental cuisines. 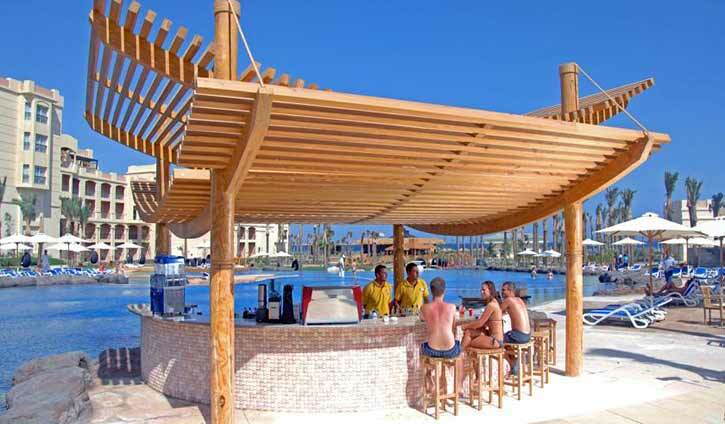 There is also a variety of beverages to enjoy at the outdoor bar, which overlooks the beach. 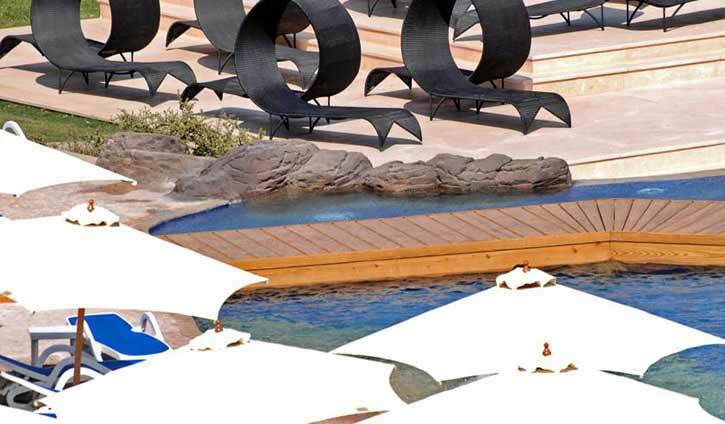 Guests can enjoy relaxation and body treatment in the spa and fitness center which includes a sauna, massage, steam bath and a built-in outdoor hot tub. 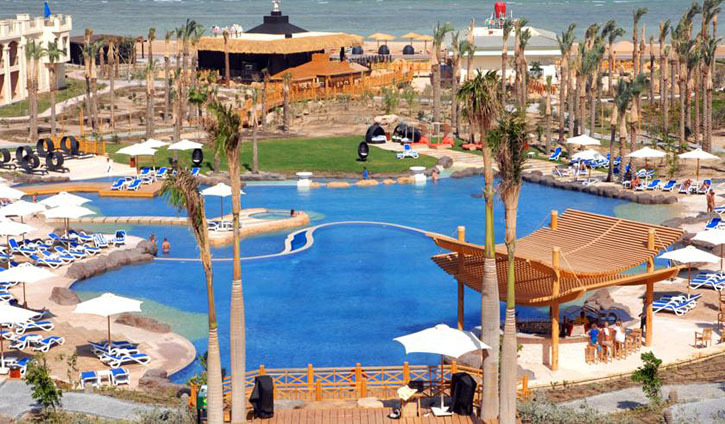 Hotel also offers you a wide range of sports as well as, beach volleyball, wind surfing, biking, sailing, snorkeling, and tennis. 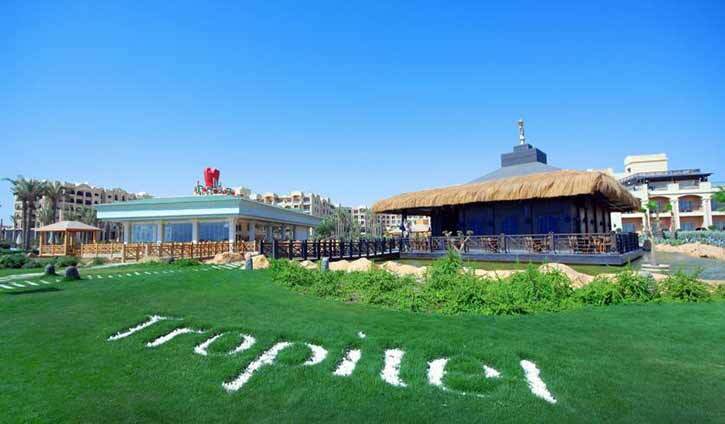 Tropitel Sahl hasheesh offers a unique location to host business meetings, events or special occasions to make every meeting memorable. 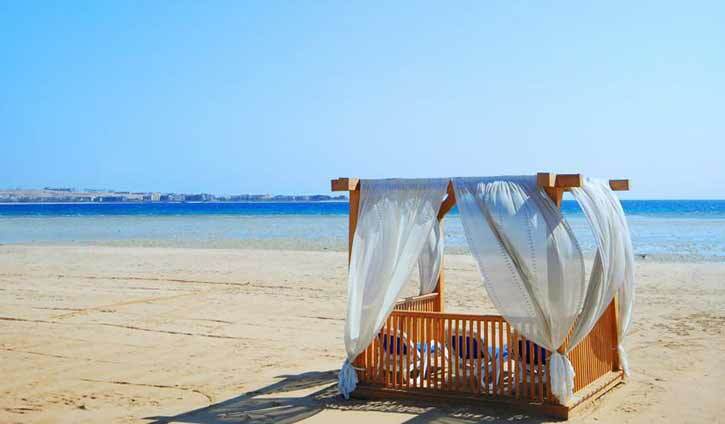 Your destination wedding in heavenly Sahl Hasheesh resort will be a dreamy story. 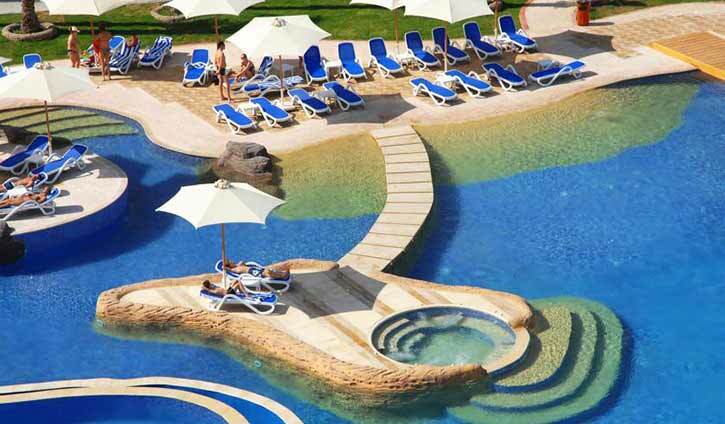 This resort is creating an oasis of tranquility to relieve the sresses and welcome the guests.